Cost is $30.00. Includes materials (7 inch hoop, leather, feathers and beads.) 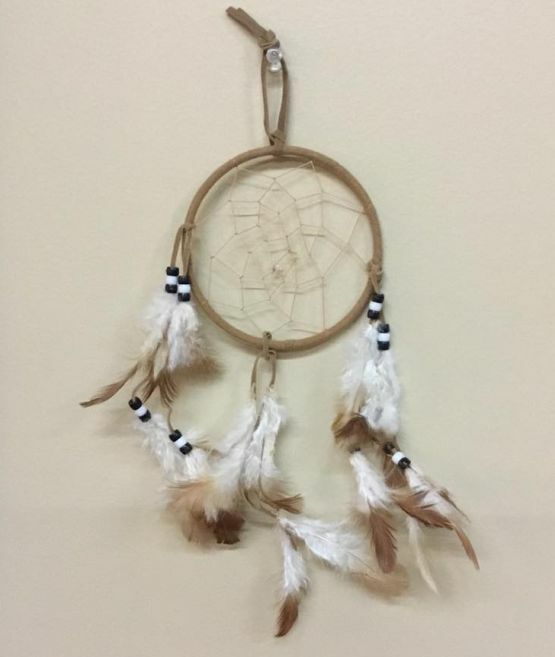 The dream catcher pictured is just an example of what kind of style you can create. If you wish to purchase additional beads,charms to personalize your dream catcher. We have them available for sale. Please call us between Mon-Friday 10-6 Saturated 10-5 at 321-453-2665 to reserve your spot in class. Prepayment is required so we can prepare for class. Class size is limited to 10.